When it comes to an elective surgery like LASIK, many people are concerned about the cost. 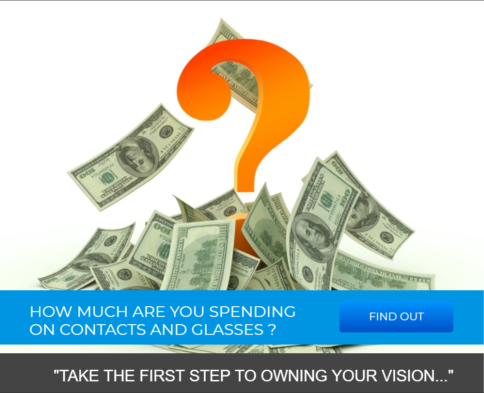 Why should you spend a lot of money up front to no longer have to wear contacts or glasses? Is it really worth it? Keep reading to find out just how much money you could be saving by getting LASIK with Associates in Ophthalmology! What Are You Spending On Contacts And Solution? If you wear contacts, you’re already familiar with spending money on your eyes. On average, it can cost $260 per year to purchase contacts. That’s usually about 10 boxes for a year. However, this number could go up significantly depending on how often you’re wearing contacts. If you wear them every single day, and you have dailies, rather than contacts that you dispose of after 2 weeks or a month, you may need more contacts than the average person. When you’re buying more boxes of contacts, you’ll also need more contact solution to make sure your contacts stay moist when you aren’t wearing them. Contact solution is one of the most frustrating things about having to wear contacts. Every year, it seems like the standard size for a bottle of contact lens solution just gets smaller and smaller. 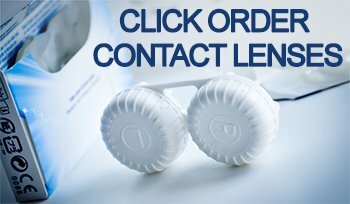 Wouldn’t it be nice if you didn’t have to worry about spending a minimum of $500 per year on just contacts and contact solution? If you wear both contacts and glasses, things suddenly get more expensive. Not only do you have to pay about $500 per year on contacts, but you also have to pay for your prescription glasses as well. Yes, you probably don’t need to buy new glasses every year, but after buying frames and the prescription lenses, this can get really expensive quickly. The average pair of prescription glasses is about $200. If you like the finer things in life, your glasses could be more like $500 or $700. If you’re fond of brands like Kate Spade, Burberry, Prada, or Chanel, your frames could be $300 alone. After you get the lenses and frames for your glasses, you’ll likely have some sort of special coating added to your lenses. If you work in front of a computer (most of us do) then this is crucial for removing glare and blocking blue light from your devices. Unfortunately, these add-ons are not cheap and could be another $100 that you’re paying on top of the lenses and frame. They are annoying, but if you wear glasses, you probably own a pair of prescription sunglasses as well. Switching back and forth depending on if you’re inside or outside gets old fast and of course, prescription sunglasses are anything but cheap. An average pair of prescription sunglasses is about $200, but that doesn’t apply for the fancy designer brands that we mentioned before. It’s not always cost-effective to wear glasses and their accessories. If you’re wearing contacts, buying contact solution, and have prescription glasses/sunglasses, you’re looking at spending about $1,000 per year total. At Associates in Ophthalmology, LASIK costs just $4,500. If you’ve worn glasses and contacts for most of your life, chances are you’ve already spent at least double or triple this amount on your eyes. Getting LASIK is life changing. Imagine waking up without having to fumble around for glasses. If you’re not a morning person, you’re able to roll out of bed and go. You can go on vacation and not have to worry about if you accidentally lose your glasses, or you forgot to pack enough contacts. Ready for a world where you can see perfectly? It’s time to schedule your complimentary LASIK consultation with Associates in Ophthalmology to see if you’re a candidate!